You are currently browsing the tag archive for the ‘Ediacaran’ tag. It’s time to talk tunicates! Many people blithely dismiss tunicates as primitive sack-like marine invertebrates which derive sustenance from filter-feeding. Although that is technically true, it is a very reductive and dismissive way to think about this ancient, ancient subphylum of animals. Tunicates are chordates…barely, but they are also classified as invertebrates. Because they mostly consist of delicate tissue sacks filled with fluids, the fossil record of tunicates is understandably exiguous, but it is believed they existed in Ediacaran times (circa 550 million years ago) and were part of the mysterious soft Ediacaran biota which blossomed into the Cambrian era’s suffusion of life forms. Tunicates probably closely resemble the basal organisms from which Pikaia and all other vertebrates (lynxes, caecilians, hummingbirds, triggerfish, humans, ichthyosaurs, turkeys, moeritheriums, and suchlike animals) sprang. 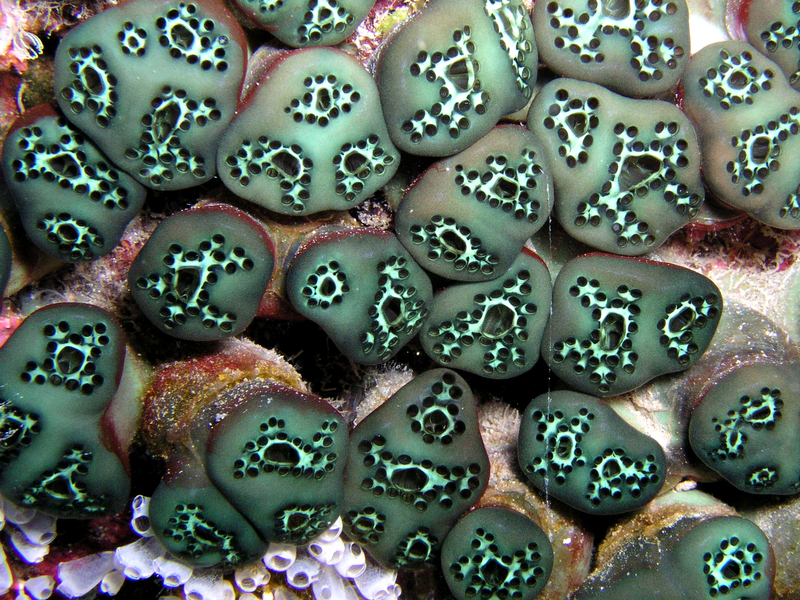 Of course tunicates also resemble hydrozoans, mollusks, worms, and even arthropods—so they may be very basal indeed! All–or very nearly all–tunicates are hermaphrodites with both male and female reproductive organs (a single ovary and a lone testis). Not only do tunicates keep their romantic options open, they also metamorphose into different forms throughout their lives. 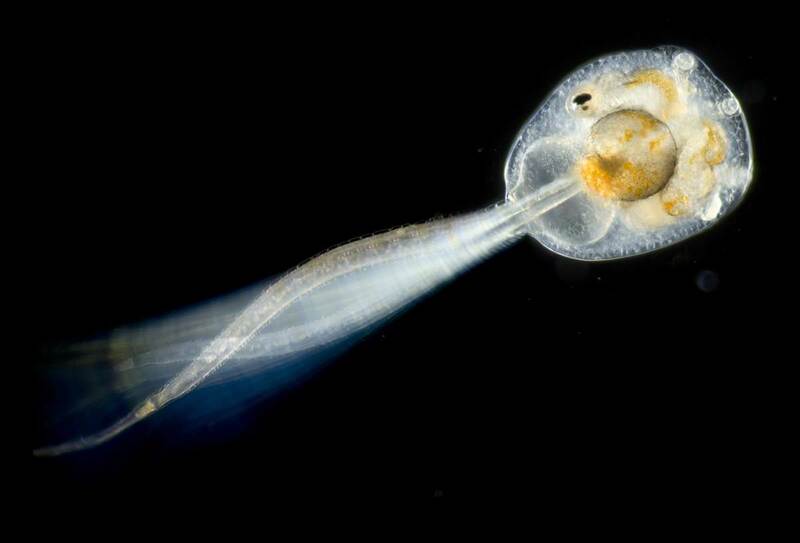 The majority of tunicates have a free-swimming larval stage when they are motile (and have a little sliver of nerve chord). 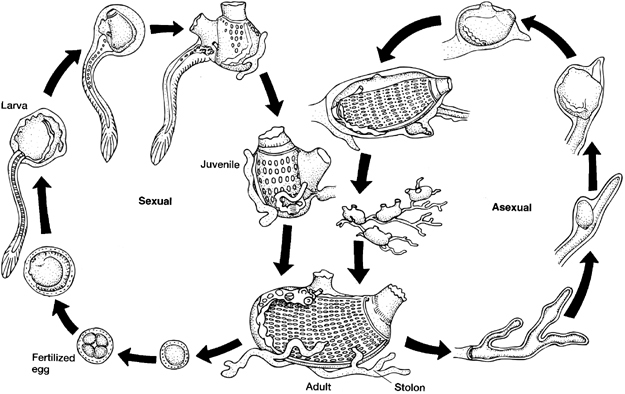 As they reach sexual maturity, their nerve chords disintegrate and they settle down to become sessile—attaching to a permanent base. Some tunicates live their entire lives as solitary individuals whereas others form colonies (like corals or siphonophores). 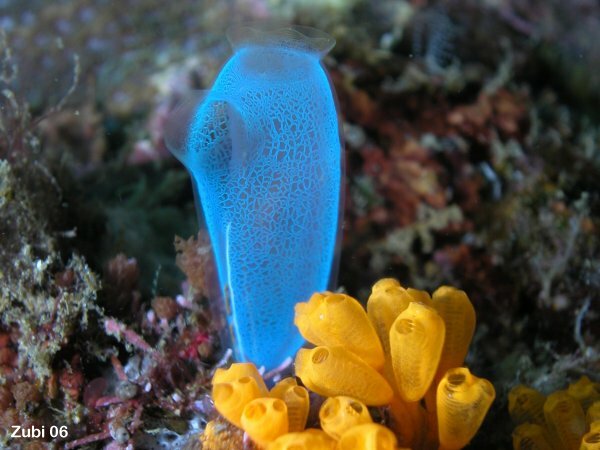 As you could guess from these names, tunicates have an otherworldly beauty. Here is one which looks like a diseased zombie heart! Others look like transparent alien shrimp, fluorescent pens, or strangely hieroglyphed eyes. 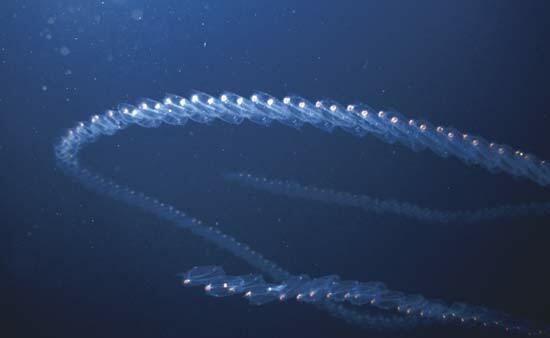 There are bioluminescent tunicates of the deep ocean, and pelagic tunicates that form long chains (with a single digestive tract running through the individual zooids). They live in coastal waters, pelagic waters, and in the depths. Most of these zoology articles end with a sad coda about how the subject organism is threatened in the modern world–no so for tunicates! As humans overfish the oceans and drive countless teleosts to the edge of extinction, so-called primitive species like jellyfish and tunicates are flourishing! Acidification, climate change, and pollution seem to be resetting the great worldsea back to Neoproterzoic times. 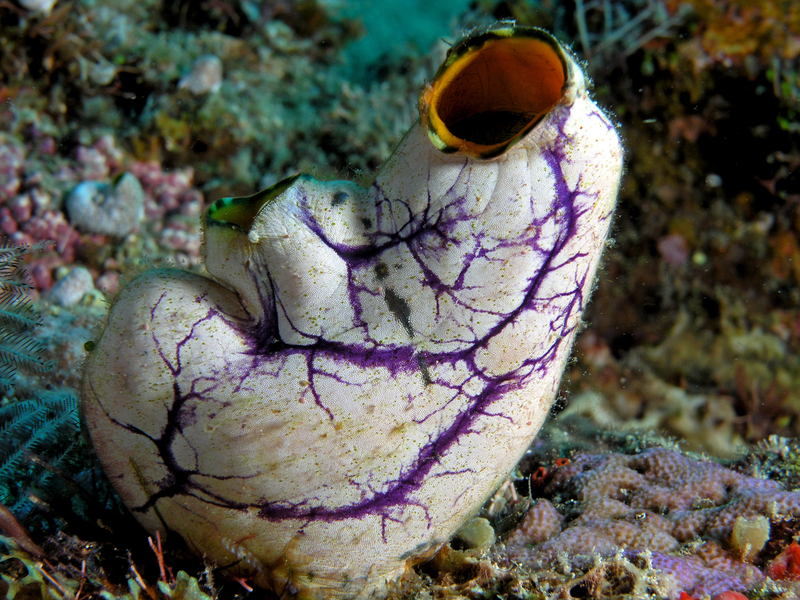 Additionally tunicates easily travel the world in ballast water and numerous species are becoming invasive pests (like the evocatively named carpet tunicate). In this troubled era, there is raw power in being a primitive protean organism with only a wisp of a nervous system (as we should have known just by looking at successful late-night comedians). Get used to the tunicate–not just an incredibly distant ancestor, but the once and future (and always) avatar of animal life in the oceans.